Samira is a dedicated executive with over 20 years of extensive experience and proven track record within the pharmaceutical Industry. Her accomplishments include key roles such as Chief Operating Officer and former positions in the areas of business development and strategic account leadership. In her current role as President and CEO, Samira is responsible for overall business and operational oversight at National Research Institute. In addition to her undergraduate studies at the University of Texas and Bachelors of Science Degree in Psychology, she has training through the Dale Carnegie Leadership Program, a mini MBA certification through Bentley University and Harvard Business Management courses making her skills in leadership, communication and organization superior. Samira is published in many scientific journals including the Journal of Clinical Pharmacology and Biomarkers in Medicine. 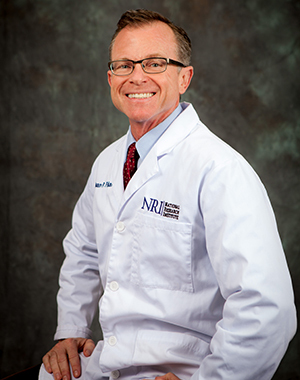 Mike is a highly qualified Clinical Research professional with over 12 years of experience in the research field. His experience ranges from study coordination to site management across all phases of research. Mike has worked across a spectrum of indications including Metabolic Disease, Women’s Health, CNS and many other therapeutic areas. His current position as Site Director includes a hands-on approach to study coordination, staff mentorship, leadership and training. He is a certified Medical Assistant. Rosa is a seasoned leader having more than 20 years of clinical research experience with National Research Institute. 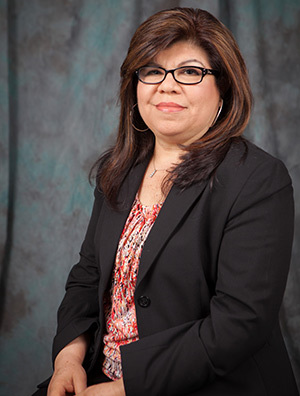 Rosa has served many different roles at National Research Institute including as a Clinical Research Coordinator, Project Manager and now as the Site Director at National Research Institute’s Huntington Park location. She is a certified Research Coordinator with an extensive list of certifications including GCP, FDA guidelines, CDUs in Diabetes, as well as, EDC certifications across multiple systems. Marilou has more than 15 years of experience as a clinical researcher in Phase I to IV pharmaceutical research studies. Her areas of expertise include study management, patient recruitment, execution of research protocols at an investigator’s level, and data collection. Areas of therapeutic experience include CNS (Schizophrenia, Depression, Anxiety, Social Phobia, Alzheimer’s, Parkinson’s disease, Mild Cognitive Impairment, ADHD), Primary Insomnia, Healthy Volunteers, Migraine, Diabetes, Hypertension, and Hypercholesterolemia. Marilou holds a Doctor of Medicine degree from the University of Santo Tomas, where she also holds a Bachelor of Science degree in Psychology.